Eco World International Berhad (EWI), the overseas property arm of Eco World Development Group Bhd is scheduled to be listed in Main Market of Bursa Malaysia on the 3rd April 2017 and it will be largest initial public offer (IPO) this year. Retail application is payable upon application but in the event the final retail price is less than RM1.20, retail investors will receive the refund on the difference. After the IPO, shareholder will receive bonus issue of two free warrants for every five Eco World International shares. Serba Dinamik Holdings Berhad, an engineering group is scheduled to be listed in Main Market of Bursa Malaysia on the 8th February 2017. The Initial Public Offering (IPO) consists of 389.4 million ordinary shares comprising of 271.4 new ordinary shares and 188 million offer for sale of existing shares at an IPO price of RM1.50 per share at RM0.50 par value. 341.3 million shares will be for institutional investors, private placement & selected investors and the remaining 48.1 million shares made available to the eligible directors and employees of Serba Dinamik Holdings Berhad and Malaysian Public. Retail application is payable upon application but in the event the final retail price is less than RM1.50, retail investors will receive the refund on the difference. HLT Global Berhad, a glove-dipping lines manufacturer is scheduled to be listed in ACE Market of Bursa Malaysia on the 10th January 2017. The Initial Public Offering (IPO) consists of 39.59 million new ordinary shares and offer for sale of 33.31 million shares at an IPO price of RM0.45 per share at RM0.10 par value. 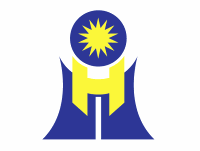 58.7 million shares will be for private placement & selected investors, 13.2 million shares made available for Malaysian Public and the remaining 2 million shares made available to the eligible directors, employees and subsidiary of HLT Global Berhad. Matang Berhad, a plantation company is scheduled to be listed in ACE Market of Bursa Malaysia on the 17th January 2017. The Initial Public Offering (IPO) consists of 130 million new ordinary shares at an IPO price of RM0.13 per share at RM0.10 par value.